Named Capital of the Peruvian Carnival, celebrations in Cajamarca are most probably the biggest and most enthusiastic in the country with festivities following a traditional program throughout the carnival season. This year’s peak carnival time in Cajamarca is from Saturday, 25th of February to the 1st of March. 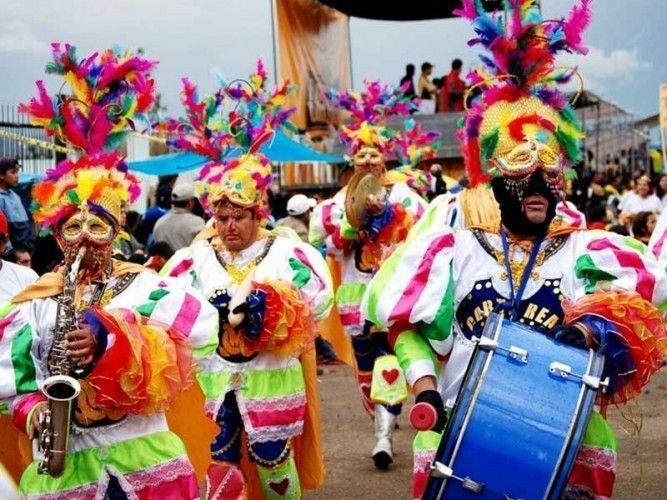 Monday, February 27th is the main day of the festivities with a huge carnival parade and enormous celebrations attracting thousands of visitors. 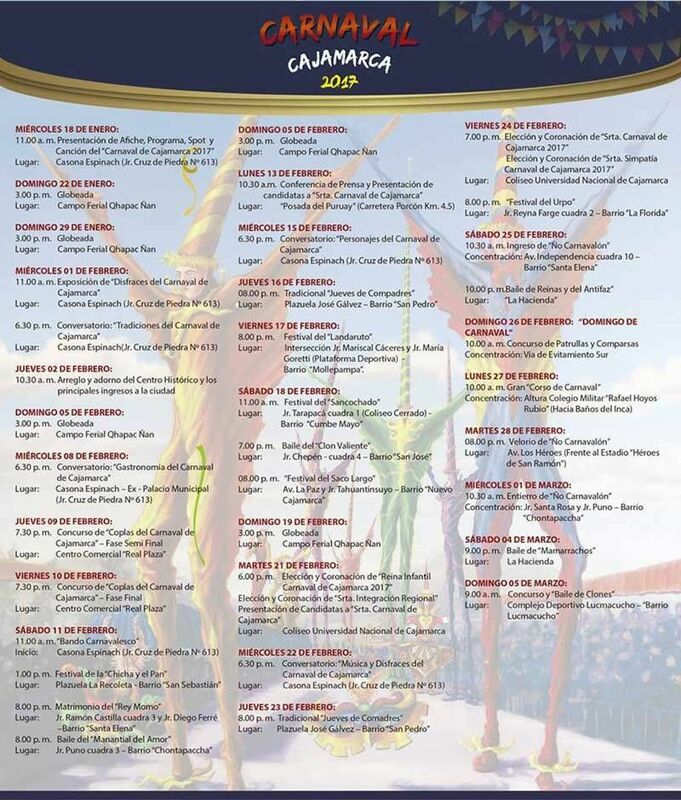 Find the detailed Cajamarca Carnival Program for 2017 below. 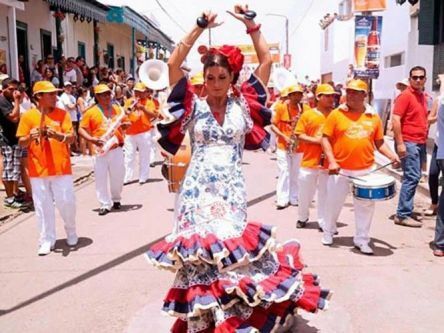 Each year around March 19, the small beach town of Las Delicias located about 9 km (5.5 miles) south of the city of Trujillo celebrates the Feria de San José in honor of its patron Saint Joseph. 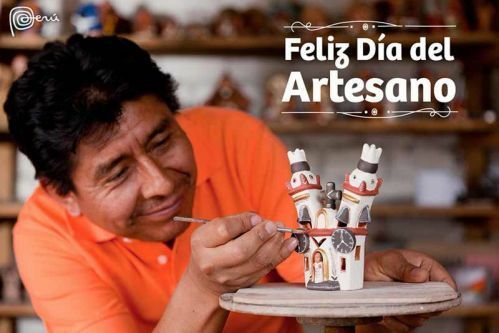 Since 2008 Peru celebrates on March 19, Saint Joseph’s Day, its nearly 73,000 in the National Artisan Register (RNA) inscribed and countless non-registered artisans and craftsmen with the Dia del Artesano Peruano, the Day of the Peruvian Artisan.